What can be worse than waiting months to receive veterans’ benefits? Waiting months, receiving a large amount of benefits and then being ordered to return the money. This may seem cruel, but this is what has happened to many veterans. The U.S. Department of Veterans Affairs (VA) recently ordered thousands of veterans to return the benefits they received. One man received a letter from the VA claiming that the agency had overpaid him by $18,000. The VA’s reasoning was that it never received a dependent verification form from the man, so it was under the impression that the man no longer had a wife and five children. The man never received the form, though. It was determined that the VA had sent the form to an address the man had lived at 35 years ago. The VA started to garnish the man’s disability check, which amounted to $1,100 a month—money the man desperately needed to pay for a child’s college tuition as well as child care, housing repairs and car repairs. The good news is that the issue has since been resolved. The man was refunded the money that was paid back to the VA. In addition, he is receiving monthly benefit payments again. However, communication and recordkeeping issues at the VA still exist and thousands of other veterans must endure the same fate. Even if you don’t directly pay back the overpaid benefits to the VA, the agency can still find ways to get the money back. They can garnish your wages by taking them out of your paycheck or bank account. You can prevent this from happening, though, by submitting a waiver request. If approved, a waiver would cancel the overpayment that you owe. You would need to request the waiver within 180 days from the date you receive the notice from the VA. VA regulations prevent the agency from collecting an overpayment if it would be unfair or unconscionable. 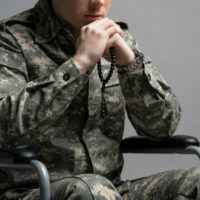 When deciding if a waiver request should be approved, the VA will look at several factors. For example, was the error the fault of the veteran or the VA? Why were the benefits originally awarded? Was it due to mistake or someone else’s misfortune? If the veteran were to no longer receive the benefits, would it cause an undue hardship? Would it change a person’s financial status in multiple ways (for example, was the veteran using the veterans’ benefits to pay off a loan)? It can be frustrating to finally receive the veterans’ benefits you deserve and find out that you need to pay them back. But don’t be so quick to pay back the money. Errors do occur, and in many cases, you are entitled to receive the benefits without having to repay them. Are you being asked to veterans’ benefits? If so, contact the Law Office of Michael Lawrence Varon in White Plains. He can help you find ways to keep your hard-earned money. Call the office at 914-294-2145 to schedule a complimentary consultation.